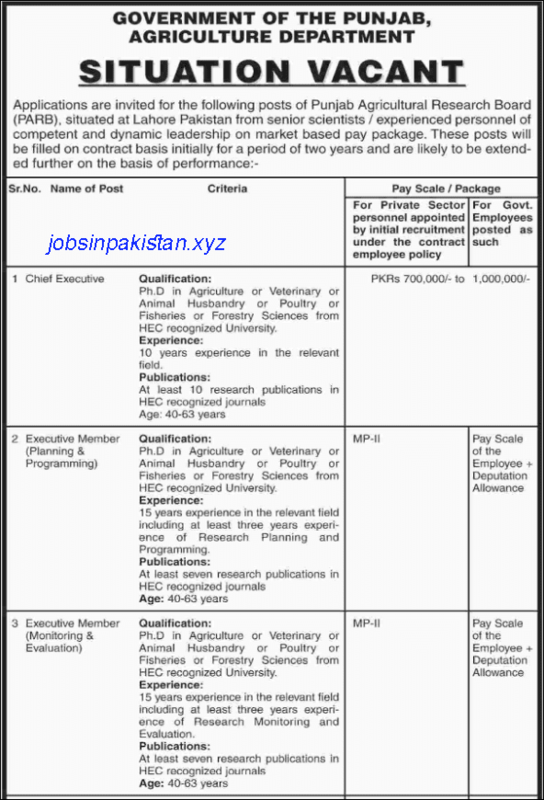 Jobs Description: Agriculture Department Punjab Jobs January 2019 are listed below in our site. 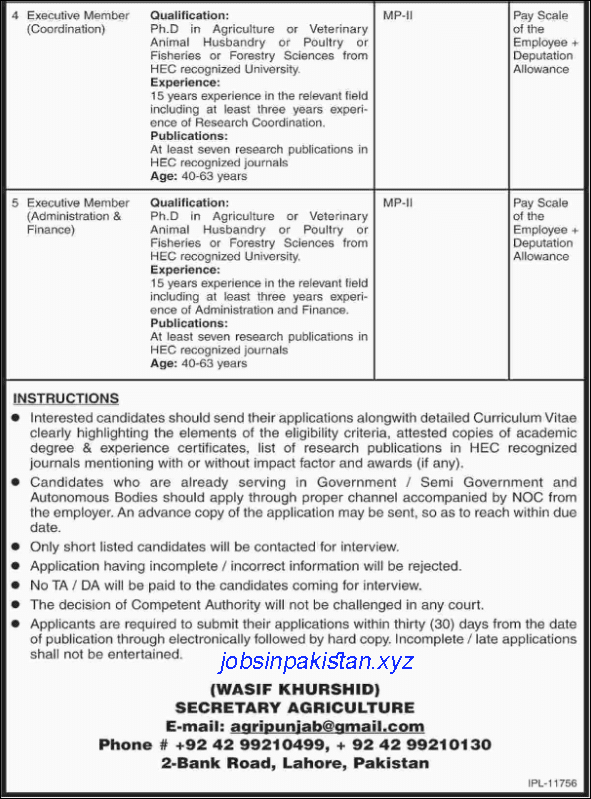 The Government of Punjab recently announced an advertisement for Jobs in Punjab Agricultural Research Board (PARB). Agriculture Department Punjab has required the applications for following jobs. How To Apply: The interested candidates may send their application forms to the Agriculture Department Lahore, Punjab, Pakistan.